Corvallis Sustainability Coalition was launched in 2007 by local coordinators of The Natural Step, who saw the need to bring together those in our community working on different aspects of sustainability. The Coalition has built on the efforts of many organizations and individuals. One of our key partner organizations is the City of Corvallis, which the Coalition has a formal partnership agreement with. Over the course of many years, the City of Corvallis has laid the foundation for creating a sustainable community. In 1998, the Corvallis 2020 Vision Statement was adopted following a community-wide visioning process. Though Vision 2020 does not refer to “sustainability,” many of its objectives relate directly to goals encompassed within the context of sustainability. In 2003, the City Council adopted an overarching goal of sustainability and the following year adopted a sustainability policy. In 2005, the City Council adopted a goal to enhance organizational sustainability efforts and hired a consultant to help develop a strategy to implement this goal. In 2006, the Council approved funding to hire a sustainability coordinator to develop a sustainability management plan for city government. Concurrently, local residents increased their knowledge of the relationship between our environment, society, and economy—and increased their concern regarding the long-term impacts of our decisions. This led to the awareness of the need for coordinated, community-based actions to address the issues of environmental protection, social equity, and economic stability. Immediately following its formation, the Corvallis Sustainability Coalition asked the 2007-08 Corvallis City Council to adopt a goal related to community sustainability. The Council responded by adopting a goal to “enhance organizational sustainability efforts and begin to develop a community-wide sustainability initiative.” The Coalition was identified as the group to partner with the City of Corvallis, on implementation of this Council goal. During 2008, the Coalition, with the assistance of consultants from Cogan Owens Cogan, led an extensive community-wide action planning process to establish a comprehensive action strategy that is integrated across environmental, social, and economic spheres of our community. 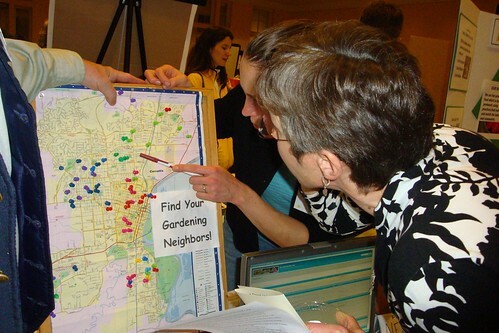 The resulting Community Sustainability Action Plan, presented to City Council in December 2008, has served as a framework for action throughout the community. It is being implemented by the Coalition’s action teams and its partner organizations, including the City of Corvallis.